Senior Samantha Elopre has stepped into her first year of Journalism. Elopre was born in San Francisco, California and has two little sisters, whom she loves to spend her time with, as well as an older brother. Because of meeting new people and experiencing new cultures, Elopre's previous years had been interesting and eye-opening. Something she admires about West High’s environment and students is its diversity. Being that she wants to become a travel nurse, Human Physiology was one of her favorite classes. Elopre’s favorite teacher is Ms. Duff because she always gives a safe and comfortable environment. 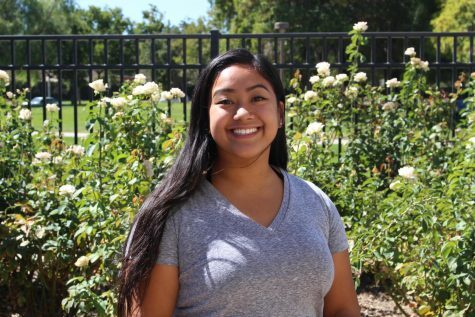 Elopre had a great high school experience in the past three years with her five best friends who describe her as caring, understanding and loving. She loves romantic comedies, chick flicks and horror. Her favorite movies are The Sleepover, Moana and The Purge. As Elopre gives her high school years a finishing touch, she simultaneously tries to fulfill her ambition to enroll into the State University of San Francisco.